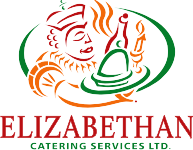 Our Philosophy - Elizabethan Catering Services Ltd.
An odd category, but a very important one for us. We firmly believe in providing the best possible value for our customers. We never, ever “gouge” customers, but charge a fair price for our services. Nothing more. We are never chosen on price alone but on value. We will do whatever the customer expects of us, providing they are prepared to pay a fair price for it. If a dispute arises, as sometimes it does, we believe in dealing with the dispute so both sides feel good about the resolution. We also get to that resolution just as quickly as we possibly can, as we believe that the longer it takes to reach a conclusion, the angrier a customer is likely to get, and in all likelihood, lost. Do everything with the customer’s best interest in mind. Look after a customer’s needs and they will always look after you, and they will be loyal to you. Always buy the best food and equipment, and hire and train the best staff. Pay a fair hourly wage and also overtime. Inspect what you expect. Do not accept mediocrity in any shape or form. Deal with everything in total honesty. Whatever is not ours, give it back. Whether it is money, a coffee machine from somewhere else, it makes no difference. Dishonesty breeds dishonesty. Many an employee will point out a payroll error, in their favor, because they know we are honest, so they are too. Be a good finder always. In a bad situation, there always lies some good. Assume everyone is trying their best, in the situation they are in. Never shout at anyone. Get mad at the situation, not the person. Mistakes happen. Learn by them. Being in business means making a reasonable profit, not an unreasonable one. Help others in need, by deed or donation. Select those you plan to help carefully, and give generously to their cause. Do it quietly.